This audiobook is a modern story similar to Siddhartha. How does a nonconformist find truth and enlightenment in today's world? Lots of paranormal, spiritual, and physical adventures in this audiobook. Note: Three-quarters of this audiobook is based on true life events. The enlightenment experience is very powerful according to those who have experienced it. But can it be described properly to the layman? This audiobook is a flow of consciousness to help you comprehend what those people experience. Once you get into the flow, I'm sure you will enjoy it. An overview of the subject of enlightenment. A step-by-step review of history, what it is, and how to get there. 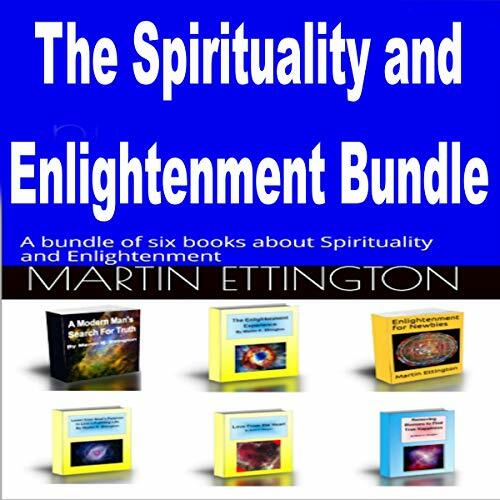 Also includes lots of personal stories of enlightenment as examples. Having a life purpose is critical to everyone. Otherwise, for what reason are we living? How to define your life purpose is discussed, as well as exercises to do so. This audiobook is about love - what it is - the four main types of love, and unconditional love. Guidance and exercises are provided to show the listener how to reach a state of unconditional love. Also, how a true heart-opening experience feels - it's a wonderful blessing. Happiness is something we are all searching for but few find. Finding happiness should be a high priority in life. This audiobook covers the history of the search for happiness, what happiness is, illusions in the search for it, and how to achieve true happiness.